One of duties which Ho Chi Minh City must fulfill is to build cheap commercial condominiums, social housing and rental apartments for homeless state-run employees and workers in industrial parks. As per the municipal Department of Construction and the Institute for Development Studies (HIDS)’s survey, around 139,000 employees in public organizations and many other people have no shelters to live; 80,000 of them need social houses from now to 2020. As per a forecast, the city will need one million houses next ten years as many staffs in state-run companies and city dwellers need houses. Deputy Head of the Department of Construction Nguyen Van Danh said that the government and HCMC authorities have adopted various mechanism to develop social housing fund yet the city has achieved little for many hiccups along the way. Specifically, the city has not provided lands for building social housing in urban district, in industrial parks and export processing zones, and residential quarters affecting its long-term plan. Additionally, the city planned not to build 25 – 30 meter square apartment costing from VND 300 - 400 million and just a few rental condominiums were built which could not satisfy the increasing demand. Worse, unstable loans for social housing investors and social welfare beneficiaries who are entitled to buy social housing disappointed them. In reality, after the Government-endorsed VND30-trillion credit package ended, some social housing projects faced difficulties ; for instance, the stagnant project No. 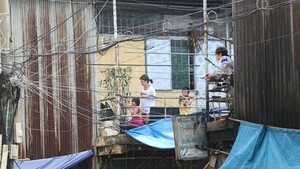 35 in Ho Hoc Lam Street in Binh Tan District caused angers amongst homebuyers. Plus, resettlement and compensation of several governmental social housing projects are very sluggish resulting in slow progress even some had to stop. The population of densely populated Ho Chi Minh City stood nearly at 13 million people including 3 million immigrants accounting for 23 percent of the city’s whole population; therefore, the city should build more cheap social housing for low-incomers. 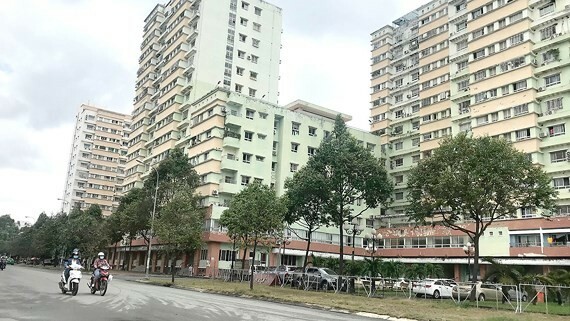 In its document to the government and city authorities about the mechanism and policies to develop social housing projects, the HCMC Real Estate Association (HoREA) said that it can build 30 meter square apartment with the price of around VND200 million in empty lands in Linh Trung Export Processing zone, hi-tech zone, Quang Trung software park, the National University of Vietnam and Hiep Phuoc harbor. In these empty land, HCMC can build 10,000 the 30 sq. meter social houses; however, President of HoREA Le Hoang Chau said government’s financial support and social contributions are needed to carry out such big project. Government’s financial support , as per Mr. Chau , includes loan with low interest rate in four commercial banks and investors can delay payment for land use, rent and such. Hence, the city will mobilize all sources including state budget and social contribution to implement social housing projects as well as encourage investors to participate in the project with their own contributions.